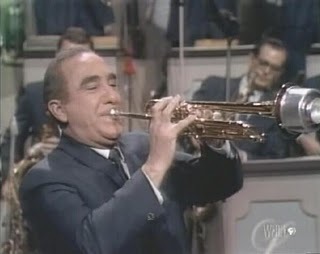 Charlie Parlato was a trumpet player on the Lawrence Welk Show from 1962 to 1982. Parlato was born February 16, 1919 in Fredonia, New York. After graduating from the Ithaca Conservatory, he started out performing for Tennessee Ernie Ford before joining Lawrence Welk in 1962. He remained with the show until 1982. Parlato had three sons (David, Dennis and Chris) and two daughters (Susan and Paula) with wife Margaret. Parlato passed away on September 8, 2007.